"The most widely used strategy guide and reference resource for buying a restaurant." "The Average Restaurant Purchase Involves 67 Key Questions You Must Ask Every Seller, 126 Crucial Points To Review in Due Diligence and Over 50 Critical Clauses To Be Negotiated." How To Buy A Good Restaurant At A Great Price© is "the most comprehensive strategy guide for buying a restaurant." This is not a simple, generic, introductory book on the subject. It combines critical knowledge and proven techniques for each stage of the process and every situation you'll encounter, along with expert ongoing consulting. If you're serious about buying a restaurant, and especially if you've never bought one before, you've arrived at this Website because you want to have the right information and access to unbiased, expert advice to make the right decision. How To Buy A Good Restaurant At A Great Price© is based upon countless restaurant investigations and successful transactions. The material contains over 600 pages of simple-to- follow strategies, legal agreements, interactive resources, sample letters, case studies, financial spreadsheets, worksheets, and useful resources. Written by renowned expert Richard Parker, who has personally purchased thirteen businesses and is recognized as: "the small business acquisition authority". Along with the program you'll consult directly with Richard and a team of experts as often as you wish during the process. The 80 key questions to ask every seller. How to determine what specific type of restaurant makes the most sense for you. The best places to find restaurants for sale. Understand what every good restaurant must have in place for you to consider buying it. Proven valuation techniques to accurately value any restaurant so you don't overpay. Learn specific deal structures that make sense and will provide the protection you need. Use a 126-point due diligence checklist & strategy to uncover all the problems before you buy. How to solicit the 'hidden market' of restauarants not publicly listed for sale or available online. Zero Restaurant Experience: Food service is a tough business. If you've never operated one before, there are a number of crucial things you need to know before jumping in and investing your money. Poor Books and Records: Most restaurant owners do not maintain their books properly. While some buyers may like the allure of a cash business, if a seller cannot prove the financials, how do you know what you're really getting? Unless you understand how to uncover the real figures, you can run into a lot of trouble, especially if you believe the seller and don't properly investigate the figures. Hidden Problems: Many restaurants for sale have secrets or hidden problems. You must learn what these are BEFORE you buy. There are over one hundred individual issues to review when buying a restaurant. You need to properly inspect the equipment, the menu, the traffic, roadside construction plans, the lease, potential health department issues, employee iinvestigations, customer counts, determine the real food costs, and on and on it goes! You can't let anything slip through the cracks. Overpaying: Many inexperienced restaurant buyers grossly overpay for the business and soon discover that not only can't they make money, they're losing money every day. There are specific formulas you must use to accurately value a restaurant. Food, labor, and rent costs must all be in line. You need to follow these proven methods to be certain the business will be profitable. If by some chance you've spent any time searching online restaurant businesses for sale, or even contacting business brokers, you should take a step back from whatever you've been doing so far, and carefully consider your next moves in order to do this the right way. After all, if you're going to invest your money to buy a restaurant, shouldn't you first learn how to buy the right one? Once you begin to follow our proven program, you will be automatically enrolled in our exclusive Personalized Consulting Program. With this incredible service you'll have immediate and unlimited access to a team of business buying specialists to help you with any situation or challenge you encounter. If you need some assistance or advice in reviewing a listing, formulating an offer, negotiating a certain part of the deal, investigating or valuing a particular business, reviewing the financials, or if you simply want an unbiased expert opinion about a particular situation where you're not positive what strategy to use, we will immediately provide you with our experienced input and assessment. Best of all, you never pay a penny for this service; and you can use it as often as you wish! Whenever you need help, just contact us, outline the situation, and let us know if you'd like an email response or a phone call. We will review the situation and provide you with our comments within 24 hours. How To Buy A Good Restaurant At A Great Price is a 600-plus-page "how to" strategy guide for prospective restaurant buyers. It's divided into two specific sections and 35 individually tabbed chapters covering every stage of the buying process. It includes interactive worksheets, case studies, real-life examples, and all the critical information needed to help potential buyers become owners of the right restaurant. An Overview of the Industry: You will learn more about why some succeed and others fail, current and predicted future trends, industry statistics, and looming threats to watch out for in any restaurant you consider purchasing. The Ten Commandments - What every good business must possess: This is huge! Our clients rave about this section because you'll learn the ten most important factors that every good business must possess. Presented in a simple format, it is the ultimate test to apply to any business for sale you're considering to quickly determine whether or not it's worth pursuing. After thousands of business purchases we know precisely what the common ingredients are in every good business! These ten components have proven oven and over again to be the foundation of any good business. Where to look for restaurants for sale: This section will detail all of the resources to be used, the best Websites to visit, and ones that specifically cater to restaurants for sale. You will also understand why your search must go beyond the Internet and how to solicit businesses not currently listed for sale. Reviewing Restaurant For Sale Listings: There are 73 key issues to look for in every restaurant for sale listing. Hidden things that can tell you a lot about a business, both good and bad. These listings will form the foundation of the many questions you'll need to ask the seller. You'll learn how to review them in great detail so you can immediately identify businesses that are worth pursuing and completely avoid wasting time chasing ones that will never materialize. How To Solicit Restaurants That Aren't "Officially" For Sale: We'll also show you how to properly approach and solicit a business that may not be for sale but meets your criteria (by the way, every business is for sale - some owners just don't realize it yet). The right business is out there for you and sometimes you have to go beyond what is "on the market". The key is to approach them effectively so the owners won't take your solicitation to mean that you're prepared to pay any premiums. Thinking About A Franchise? They're not for everyone; however, the right ones can be a good entry into business ownership, but only for certain people. Don't buy a new franchise; it's only slightly better than a start-up. We'll show you how to buy a resale that's already successful. Key Questions To Ask The Seller: A detailed listing of the 60 key questions to ask the owner of any restaurant. This section will properly prepare you to meet with the seller and clearly understand their particular business, the challenges, and opportunities. Personal Issues To Consider: There are numerous considerations to be made when buying any business, but even more so when it comes to a restaurant. You'll learn ten important questions that you must ask yourself, the key attributes of any successful restaurant owner, and the typical problems you will face. What Makes A Good Restaurant? Here you will understand the crucial components and common denominators that successful restaurants share. You'll learn what customers really want in a restaurant and whether the one you may be considering possesses these criteria or can be modified accordingly. You'll learn what needs to be evaluated regarding the location and some of the common issues that inexperienced restaurant buyers overlook. Reviewing The Figures (numbers don't lie; sellers do! ): Learn how to value a restaurant so you're certain you pay a fair price. You'll know how to review, investigate, and reconstruct the financials, which quite often are poorly maintained by restaurant owners. Trying to figure out what the real numbers are can be tricky you'll learn precisely how to do it. Learn how to verify all of the financials to ensure that they are true and accurate. You'll understand the exact steps to take and the procedures to use to uncover any problems and to see if the seller has "cooked the books" or made certain adjustments to falsify the business. This goes on all the time and the consequences can be enormous! Deal Structures: When it comes to structuring the terms for a restaurant purchase there are many issues to consider. Often-times, the lack of provable revenues and profit necessitate an earnout formula. More importantly, getting the seller to finance the bulk of the deal is the goal and we will show you exactly how to do it. You'll receive specific legal language to use in the contract to cover the critical elements of the due diligence and an on-site observation period. Our program will prepare you to effectively negotiate every part of the deal. There are over 50 specific clauses that must be attacked and this is what separates good deals from bad ones! We provide you with "what to do" checklists and point-counterpoint strategies for each component you'll have to include in a Purchase Agreement. We'll lay out the precise clauses you'll need to ensure you're completely protected from a future decline in the business , purchasing bad inventory or equipment, or for any other liabilities that will surely come back to haunt you if you don't protect yourself properly. Financing The Purchase: The goal is simple: get any seller to finance the deal. We won't allow you to put up your house, guarantee the loan with personal assets or offer your "first born" as collateral. No way! The seller will provide the financing you need. Over 90% of our clients get the seller to finance the bulk of the deal. This is a critically important aspect of the deal. After all, if the seller won't finance you what does that that tell you about the future of the business or his/her belief in you to run it? Due Diligence: There are 126 specific things you need to check out during the due diligence and inspection phase. The last thing you want is to find a problem after it's too late. You must uncover everything BEFORE you buy. This comprehensive checklist details what you need to check, and how to do it for the financials, the equipment, the premises, the lease, the operations, the employees, and the observation period. Closing The Deal: Making The Final Decision: How to add up all of the information and make the right decision. You'll know what issues have to be renegotiated, and the documents needed to close the deal. Post-Purchase to Do: The first six months after you take over a restaurant are critical. Unless you're a well-seasoned, experienced restaurant veteran, there are certain things you must do, and others you must avoid doing in this very important initial and transitional period. We outline the ideal strategy for you to adopt once you take over your new business. Hiring Professionals: We'll explain how to hire the right lawyer and accountant, and you'll discover eleven surefire ways to save a ton on their fees. Avoiding All The Hazards: You'll be aware of every trap that causes inexperienced buyers to make awful decisions. You'll know how to deal with, and avoid, all of them! Interactive Resources Included: You'll also receive legal forms, specific clauses to include in any agreement, Letter of Intent, Offer To Purchase Agreement, fully formatted and interactive Excel spreadsheets (with a tutorial) for financial/cash flow analysis, sample letters, Personal Financial Statement worksheet, case studies, and course exhibits. - Key statistics you need to know, current trends in the industry, and threats to consider. 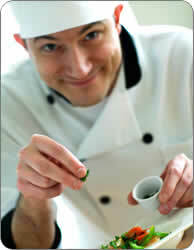 - The best resources to use to find the right restaurant. The strategies to solicit ones that may not be officially for sale. - What do custumers want in a good restaurant? The importance of location and responding to customers' wants and needs. - The 67 questions you must ask every seller and what answers to look for. - A ten-point test that any good business for sale must pass. - Starting off properly and staying on the right path. - A complete overview of how they work. Do you need one? How to hire one that will meet your needs. - The ideal business for sale may be staring you in the face. FRANCHISES - ARE THEY FOR YOU? - They're not for everybody; how to find and buy a resale that's already successful. - How to hire the right lawyer and accountant, PLUS eleven surefire ways to save a ton on their fees. - A straightforward and concise explanation of all accounting terms and learn how to tear apart and interpret financial statements in one lesson. - They can be your best ally or your worst enemy. Getting them to agree to your major points. - How to breakdown business for sale listings and focus your search on ones that make sense for you. - Use two proven and proprietary valuation models that guarantee you will never pay more than a business is worth. - A complete breakdown of every detail to negotiate and the techniques to use for each. - Learn how to get full access to them and have them reveal what's really going on in the company. - A review of all options available to you and a strategy to negotiate great seller financing. - A 126-point due diligence checklist to be followed when buying any restaurant. - Adding it all up and making your decision. - A detailed listing of the documents needed to protect yourself and an explanation of what to look out for from the seller's attorney. - A checklist and plan for your first 90 days after taking over the business. We believe it's important for you to know the extent to which we believe in, and back up, our product. After you receive your material, (either the hard copy, CD or download version) simply follow the techniques we've laid out, utilize our consulting service as often as you'd like, and if, for any reason whatsoever, you feel that the information we have provided does not equip you with all of the knowledge and tools you'll need to buy the right business for sale, or if our program does not exceed your expectations in any way, just let us know at anytime and we'll immediately refund all of your money. This is not a 30, 60 or 90-day guarantee. We mean anytime. No questions asked! No fine print! No time limit! The reason why we can offer this type of guarantee is simple: when you have a program that works, there's never any fear offering people the ability to get their money back if they're not completely satisfied. You can now get the complete course via electronic download or on CD! You'll be on your way minutes from now! Includes interactive resources, worksheets, and Study Guide. This download is fully interactive. You can read it off your PC or print it out. You don't need any special software whatsoever. With the electronic version, you will receive a receipt for your purchase containing your link to retrieve your download immediately after you confirm your order. It takes less than two minutes to receive it all. The print version and CD are delivered via UPS and ship within 48 hours. You'll also receive an email containing a link to retrieve the electronic version while your CD is in transit. Study Guide and Journal© - Track your progress, note key points to remember from each section, and log any questions you may have that you'd like to discuss with us. Prospective Business for Sale Portfolios© - A comprehensive four-part form to use when evaluating a particular business for sale. It will help you prepare your questions, detail your notes, organize the follow-up, and do an overall evaluation on any business you may be considering. 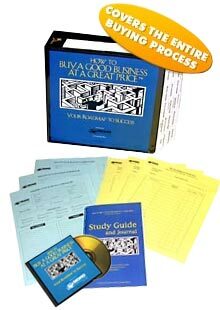 Due Diligence Worksheets© - For the last stage of the business for sale buying process -investigating the company. This is not the time to let anything fall through the cracks! These worksheets will allow you to detail every task that needs to be completed, follow-up to be done, and general notes for this crucial stage of the buying process. A great companion tool for the 50-page section on Due Diligence. Whenever you make any decision in life, large or small, you have to consider both sides of the equation. The cost of this program compared to what you can expect to pay for and earn from the right restaurant, or, how much it can save you from buying the wrong one, is negligible. Is it possible for you to buy the right existing restaurant for sale at a great price without this knowledge? Perhaps; but why on Earth would you be willing to take that kind of risk? Ask yourself, what's the downside? There isn't any; you have zero risk! Think about it: could we possibly offer this type of guarantee if our system doesn't work? Thank you for your time. I look forward to working with you. By the way, if you have any questions about our program, if you're not sure whether it's for you, or if I can help you with anything at all on the subject of buying a restaurant, please click here to email me directly. It will be my pleasure to assist you.